To improve the condition of pigeons before and after the flight. Against effects of overexertion for closing off internal injuries and a rapid healing of smaller, external injuries. 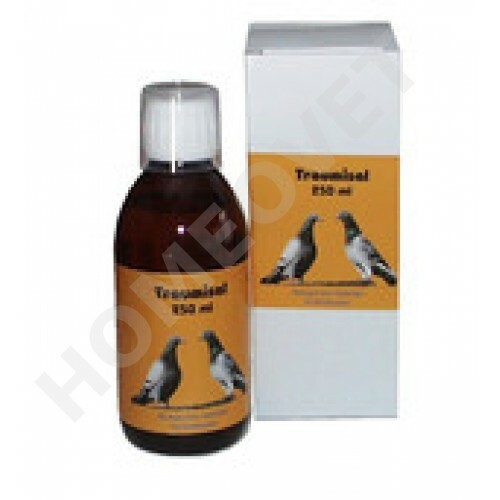 Traumisal affects mainly very favorable the target organs, which are directly concerned with performance flights. In addition to the muscles, these are the connective tissue system, the vascular network and the circuit with its central "pump" the heart. Traumisal is also referred to as "first aid" means.